I've already fallen behind with my blog posts - I originally had planned to do a post every ten days or so, since I wanted to have double the number of posts in 2013 as I did in 2012. However, I've been quite busy and haven't had much time to think about new posts or subjects. However, I do already have one subject to post about, I just have to get around to it. Last week I (finally) finished watching sci-fi anime series Steins;Gate, so I'll definitely be doing a post about that. In the mean time, I'm happy to say it has happy ending - I had my doubts during the last few episodes. For today, I'll be posting all the new updates on the Audi A5 project. I've mostly been posting about it on BlenderArtists.org, so the last image I posted here was of the new bumper panel. I've made quite a few changes to it since then. A new bumper and front wing. The first snapshot of the gear-lever console. console, and a completely new (but still unfinished) dashboard. Newest update - final panel of controls on centre console. I only just started working on this again, but it felt good to do some proper modelling. I'm also going to be involved in a new group project with fellow Blenderheads GrandeP and miskolciart. 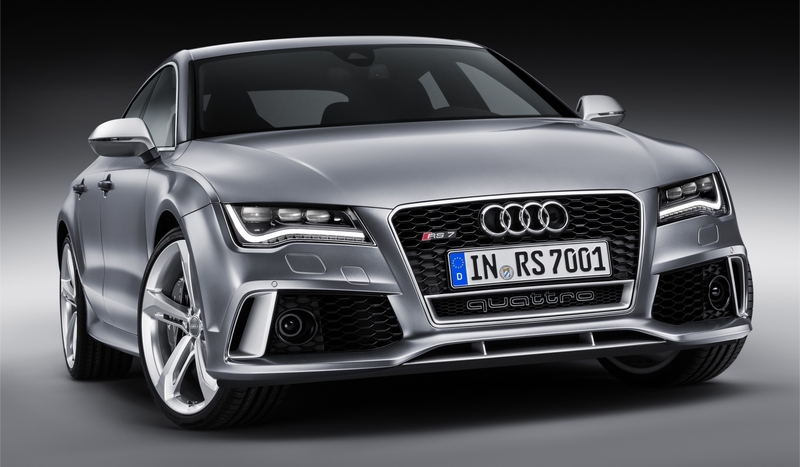 We're going to be modelling the all-new, recently announced 2014 Audi RS7. I personally haven't yet contributed any modelling or anything (other than tweaking a startup file) due to recent events (I've been quite busy) but GrandeP has already started modelling and testing out different processes, while Miskolciart gathered up over 150 reference images we can use. I'm quite looking forward to working on the project, and the RS7 should be quite interesting and a challenge to model. But that's it from me for now. As I said I'll soon be reporting in concerning Steins;Gate and the Audi RS7.